The easy way – we deliver a bin or walking floor trailer to your job site, you fill it up, we haul it off when it’s full (and replace it with a new one if needed). The still easy but not quite as easy way – you bring your own bin or waste management vehicle to our waste disposal facility in Hamilton, drive in, drop the waste off, drive out. We separate wood, metals, cardboard, drywall, fines and aggregates for building contractors to keep as much as 90% of your waste out of the landfill. 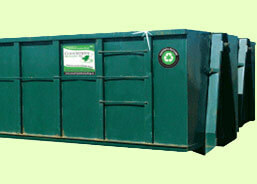 Recycle all your demolition waste and do right by the environment. Our walking floor trailers are available to contractors across Ontario. We’ll sort, document and provide you with your LEED construction and LEED demolition papers. And whether you’re planning far ahead or calling us last minute, you won’t find a better price. What Part of Our Business Can Best Serve Your Business?